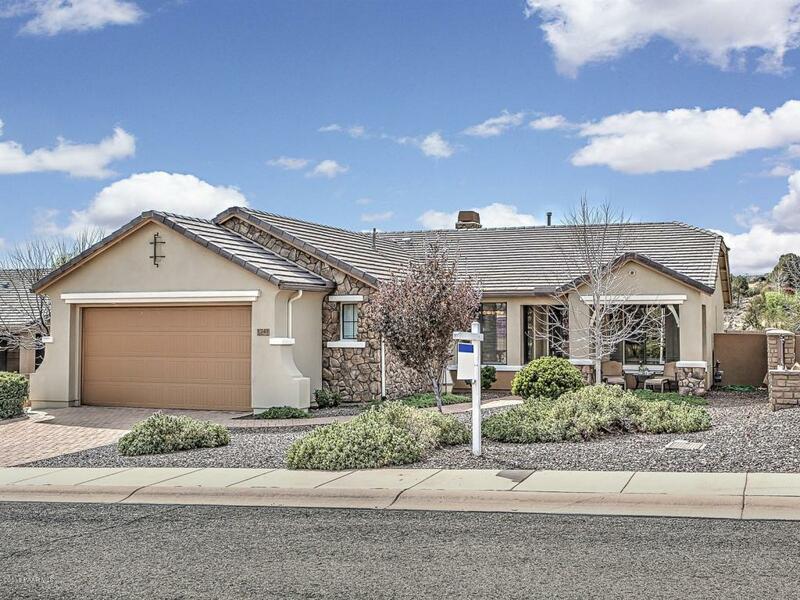 Located in the Desirable community of Lakeside in Prescott Lakes. Single level perfect size, 1829 sq ft home, 3 bed,2 bath, split floor plan. Large laundry room with full built in cabinets for a great surprise office space & storage. A lovely eat in kitchen/dining room, with island, granite counters & bar counter area for more seating. A large pantry & built in china cabinet. Kitchen & Great Room are open to each other for a wonderful flow for entertaining. Rock gas fireplace sets the mood for a cozy atmosphere. Master bed is a nice size & bath has a soaking tub, separate shower & a large master closet. An extended covered patio with pavers leads to a lovely private backyard. Brand new exterior paint, Paver driveway & walkway leads to an inviting front porch & security screen door.